Last week, I shared another one of my favorite things — reading and learning more about my personality profile. 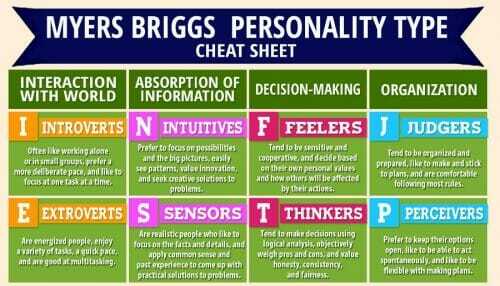 I’ve been fascinated by personality profiles ever since I took my first Myers Briggs Type Indicator (MBTI) personality test in high school. It’s just amazing to me how accurately the results of this test explain my personality, my strengths, and my weaknesses! I = Introvert — I put my attention and find energy focusing on my “inner world” versus my “outer world”. S = Sensing — I prefer information I can “sense” with my 5 senses (actually see, feel, taste, hear, etc.) versus information I acquire through intuition or “reading between the lines”. Just give me the facts! T = Thinking — I make decisions quickly and easily after analyzing the facts. I am fair, but I don’t let my emotions cloud my decision-making process. J = Judging — I am planned and orderly — preferring all decisions to be made well in advance. We are generally quiet, serious, practical, matter-of-fact, realistic, and responsible. We decide logically what should be done and work toward it steadily, regardless of distractions. We take pleasure in making everything orderly and organized — our work, our home, our life. We value traditions and loyalty. We are extremely independent, super organized, and very detailed oriented. We are unemotional, often impatient, easily annoyed by other’s lack of abilities, and frustrated by perceived laziness. So yeah… that’s me all right! Oh, and since many of you have asked, Dave scores between ISTJ and ISFJ — which explains why we generally feel and react the same on so many situations in life! There are many different personality tests out there today — the Enneagram (I’m a Type 1), the StrenthsFinder, the Kolbe, the DISC Personality Test, and more… but for the purpose of today’s post, I will focus on the Myers Briggs Type Indicator test as that’s the one I’m most familiar with and the one that is most readily available on the internet these days! I’ve linked to a free personality type test below, and I honestly feel that no matter what your life, family, work, or personal situations are, YOU WILL BENEFIT from taking this test to better understand your own personality! Before I took my first personality test, I would have said I was an “extrovert” because I am very social and enjoy being with people. However, I always found it odd that I preferred shopping and studying alone versus with friends… and my parents still joke that they never had a curfew for me because they knew I’d come home on time (whenever I tired of being with a big crowd). I absolutely HATED sleepovers when I was younger; and in college, I came home every Sunday morning and stayed home the entire day — usually just hanging out in my room in the peace and quiet. Now I realize that being an “I” (introvert) doesn’t mean I’m socially awkward or painfully shy — but rather that I feel more energized by being alone than with huge groups of people. So yes, I do enjoy spending time with others, but I MUST have some down time to myself in order to regroup and recharge. Knowing this simple fact has been hugely beneficial to me as an adult (and as a mom with 4 young children). I no longer think I’m weird or strange (or a bad mom) for enjoying and craving time alone. Also, if I feel like I’m snapping at my kids or getting really grouchy, I know it’s most likely because I just need a few minutes to recharge and regroup (alone!) I send them outside or upstairs to play, or I turn on a quick Netflix show, and the entire rest of the day is happier and more fun for everyone. Similarly, knowing that I prefer logical facts, order, systems, tradition, planning in advance, practical advice, etc. etc. helps me to better understand myself, what makes me happy, what makes me frustrated or upset, and what to do (or not to do) in order to alleviate stress, anxiety, and unhappiness in so many life situations. 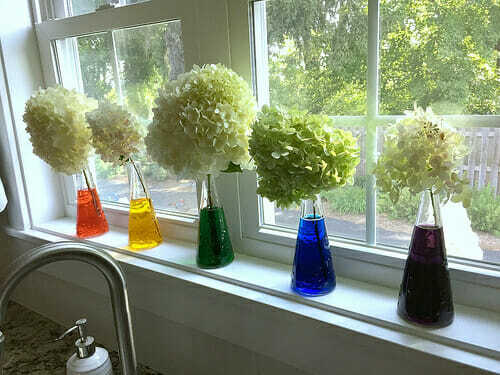 Although I realize we can not all be perfectly categorized by 4 little letters, I do think that when we know and understand the different personality preferences, we can more-easily appreciate differences between others in our lives — spouses, children, friends, family, coworkers, etc. We can see their differences as just that — different ways of “being.” If something another person does is very annoying or disturbing for us, we can hopefully learn to view it as a reflection of their personality type as opposed to something they are doing to purposely offend us. One prime example of this in my own life is when people are late for anything — this bothers me SOOOOO much. When someone is consistently late, I feel like it’s disrespectful, inconsiderate, and just plain rude. However, if I think about a few people in my life who are ALWAYS late for EVERYTHING, I know for a fact they have a “P” personality (not “J” like me). They don’t think the same way I do, nor do they value the same things I value (arriving when you say you’ll arrive). They most likely are NOT purposefully trying to offend me, and I shouldn’t let myself get so annoyed. Of course, I don’t think someone with the “P” personality can use it as an excuse to always arrive late, but I do think it’s beneficial if we more-thoroughly understand the different personality types of people in our lives. It’s no surprise then, that most counselors will utilize personality type information to aid in their sessions! We all learn and process information in different ways — some people (like myself) just want the facts (S – Sensing) so we can make quick decision and move on with our day (T – Thinking), while others need to have time to weigh the pros and cons and process all the information before slowly coming to a solution they feel will be in the best interest of everyone involved. Some people learn best by hands-on trial and error, others learn by being told or shown how to to something, and still others learn by simply reading it in a book. Some people prefer to learn on their own (I – Introvert) while others learn best in a group setting (E – Extrovert). None of these ways are “right” or “wrong”, but by knowing and understanding the different personality types, we can more easily acknowledge and appreciate all the many different learning styles. This is especially helpful for teachers, managers, parents, or anyone “in charge” of others. If you’ve ever worked at a job you absolutely hated, simply because it was a paycheck, you know how frustrating it can be to spend time doing something you dislike all day long. Life is much more enjoyable if/when we can pursue our passions… and knowing our personality type is the first step towards this goal. I remember one of my first jobs working in retail — it was BRUTAL! I was 16 years old, and should have loved working at the mall…. instead, I absolutely hated it because they constantly put me “on the floor” to greet people walking in. Personally, I hate it when people greet me as I walk into a store — I feel like they are pushy, annoying, and trying too hard to land a sale. If I need something, I’ll find someone to help me… until then, I want to be left alone to shop in peace and quiet. So the thought of being that bothersome person to every customer walking into my store was horrible. Finally, I asked if I could sort clothing in the back room… and from then on, I enjoyed my job so much more. The managers continually praised me for my attention to detail, I thoroughly enjoyed the semi-monotonous work of folding, stacking, sorting, and organizing the clothing, and I loved the fact that I often worked all on my own in the back room. I could certainly make more income doing many other jobs, but I doubt I’d love any of them the way I enjoy writing and sharing my life with all of you! 5. To Have Really Fun Conversation Starters! Ok… this last one isn’t completely necessary, but ANY time I mention anything about personality profiles, there are always scores of others willing, ready, and excited to share their personality profile… and the conversation just morphs from there! As an “I” (Introvert) who doesn’t particularly care for small talk, I LOVE discussing personality types when I’m in groups of people. Not only does it provide a light-hearted topic that often results in lots of laughter as we joke about our various quirks, it’s also quite interesting and informative — and it doesn’t involve politics, religion, finances, or any other hot-button issue! Try it at your next party or gathering… you’ll be amazed how quickly the conversation picks up! 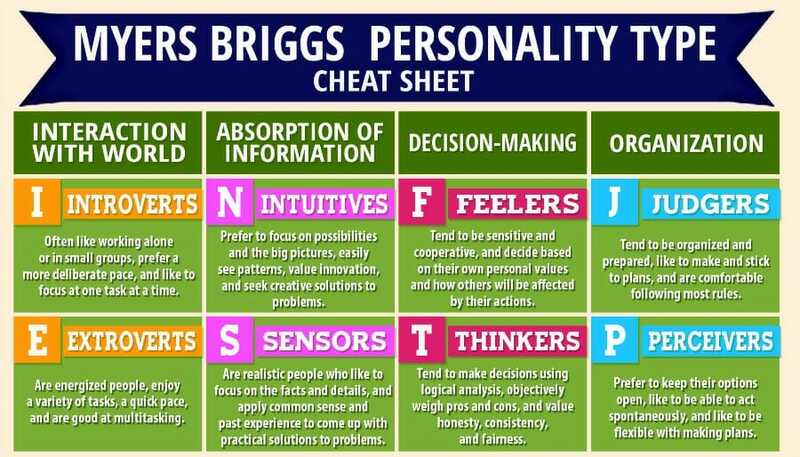 There are 16 different Myers Briggs Personality Types that help to explain various aspects of your personality — how you interact with others, how you learn best, what types of jobs you would be good at, and so much more. You might be surprised how useful and helpful this information is in your everyday life — especially if you can convince others in your life to take the test as well. At the very least, you’ll almost certainly be in awe of how accurately your thoughts, actions, and life is laid out in front of you when you read the results of your personality type test! Filed under: Life • Health • Misc. Interesting note: I can never remember my letters so I have them on a “note” in my phone. Someone who knows a lot more about Myers Briggs than I do said this is very common for ISTJs. Do you have trouble remembering yours? I am a 5 on the Enneagram and am married to the complete opposite – ENFP. Which explains how I can relate to you so much personally but our lives look a lot different! oh my word — yes! I have it in my phone and even though I know my letters, I often have to refer back to my phone before I answer someone if they question me about it. It’s SO crazy for me that I can’t just remember this. I can memorize bank account numbers, library card numbers, phone numbers, etc. but these letters… I get them mixed around so easily! It’s very interesting for me to hear you have the same “issues”! This is so interesting! Glad you figured it out — it’s “little” day-to-day things like you mentioned that fascinate me about different personality types. I just posted a lengthy reply to your request about cognitive function and do not see it. I’m wondering if you can find it somewhere on your end and post it? yes, I found it in “spam” –probably because of the extra links!! Thanks SOOOOOO much for your detailed reply! Since you appreciate Myers-Briggs, I would encourage you to go a step further and learn about cognitive functions within Myers-Briggs. What you will learn is that each type is SO MUCH MORE than a summary of the the four letters. Each function in your type is actually extraverted or introverted, and the functions stack and interact with each other. For example, for ISTJ your cognitive function stack is Si, Te, Fi, Ne. Your super power is Introverted Sensing. You gather information through your senses in an introverted manner; you look at what has worked in the past… you focus on memory. Extraverted Thinking is your second-in-command. Because you are introverted, THIS is the function that people see in you first because it is extraverted. One of the challenges for all introverts is that people don’t see their super powers until they get to know them well. People see introverts’ second-best. On the other hand, people see extraverts’ super power first because their super power is extraverted. Extraverted Thinking is what causes you to make your decisions in a logical manner. Your third function is Introverted Feeling. This function is not as mature as your first two. It tends to be the function that can trip us up. For you, it means being authentic and true to yourself is important, but sometimes you can act out on that to a fault. Extraverted Intuition is your last function. The fourth function is where we tend to act out when under stress. You might speculate or predict certain outcomes that are not necessarily correct. I became certified in Myers-Briggs years ago. It is a powerful tool, and the more I learn about it the more I appreciate it. 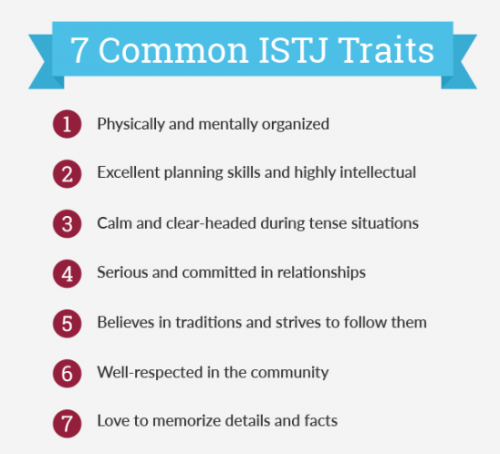 I would encourage Dave to spend time looking at the cognitive functions of ISTJ and ISFJ. The biggest, most obvious difference is the second function. For ISFJ the second function is Extraverted Feeling (not Extraverted Thinking as it is for ISTJs). This means what people notice first about ISFJs is how much they care about other people. They are concerned with everyone feeling good and meeting people’s needs emotionally. It is not really possible for someone to be between ISTJ and ISFJ (or any other combination for that matter). Many people say they are half extravert and half introvert… and that is not true either. It’s a matter of WHAT FUNCTIONS are being extraverted and introverted that trip people up. As people grow and age, they have opportunity to mature their cognitive functions. This explains why people claim to change type as they get older. Actually, people don’t change type; what they do is mature their different functions in a specific order. Thanks for letting me share! This topic is a passion of mine and it makes me happy to see your interest in it as well! This is AWESOME! Thanks so much for sharing Carla! As you described the ISFJ versus ISTJ, I do think Dave falls more inline with the ISTJ. He’s taken the test a couple times and usually scores ISTJ but once he scored ISFJ — which is why I said he’s “between” those two. I know you can’t really be between… but that was my easy way of explaining he has had both results. However, I think he’s more ISTJ. What would be the best way to learn more about the cognitive functions? Books at the library? A specific website? Thanks again for sharing your expertise! “Personality Hacker” by Joel Mark Witt and Antonia Dodge was recently published and provides a great layman’s guide to personality type through the lens of cognitive functions. 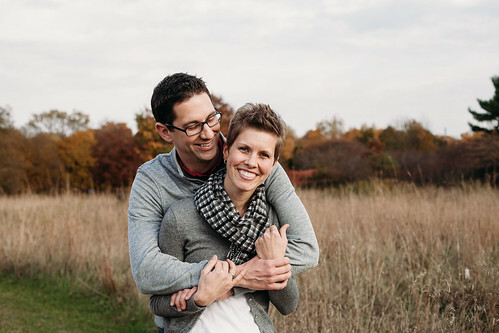 This couple’s website is http://www.personalityhacker.com. They have a huge library of podcasts that are entertaining and educational. The podcast on ISTJ is 0099. The podcast on ISFJ is 0098. Just a clarification; they refer to people’s second cognitive function as their super power (I referred to people’s first cognitive function as their super power; they refer to it is their driver). You will see different labels used to describe different functions and their roles in the personality type community. My faith walk as a practicing Christian is different from this couple but I have deep respect and regard for their work. “8 Keys to Self Leadership” by Dario Nardi is written by a scientist who brilliantly describes each of the cognitive functions and gives steps how to develop them. Founded by Dr. AJ Drenth, http://www.personalityjunkie.com is a great resource. As a start, type in “ISTJ Personality Profile” in the search bar. A fun website is http://www.introvertdear.com. Search ISTJ for a variety of entertaining posts. You and Dave might enjoy the book “Introverts in the Church” by Adam S McHugh. I’ve heard he is putting out a new edition of this book. I can’t let the opportunity go by to also recommend his book “The Listening Life”. It is life-changing. Myers-Briggs is a research based tool. It began with Katharine Briggs and her daughter, Isabel Myers. Isabel, a homemaker, was making her bed one day; she had the radio on and was listening to reports on WWII. She wondered if there was a way to help people understand their differences and avoid war. That is when Myers-Briggs was conceived. The daughter-mother team wrote pairs of words on index cards and tested them on their family and friends. If someone can afford it, it is worthwhile to take the authentic test. However, the test is only one part of determining your type. Myers-Briggs does not tell you who you are. They provide tools to help you discover who you are. Hence, the value of cognitive functions. A final book recommendation, “Was that Really Me?” by Naomi L Quenk. It takes a look at that fourth function that pops out during times of stress and how to cope. Looking at this sometimes this helps people determine their type. We can be so trained to act a certain way we fool ourselves by thinking our strengths are innate when in fact they might have been drilled in to us. However, under stress, we have no such filter; we just act out. I totally get what you said about how you explained how Dave has had both ISFJ and ISTJ results so he is between the two. I’m glad you did so I could clarify what might be a common misconception for people. I would like to further clarify that is not the goal to be in the middle for Myers-Briggs. The goal is to be able to identify your innate preferences (you can write with both your left and your right hands, but which hand do you prefer?) and to become all you were created to be. This is particularly important as we observe our children and provide means for them to express who they are. Thanks again for allowing me the opportunity to share with you! 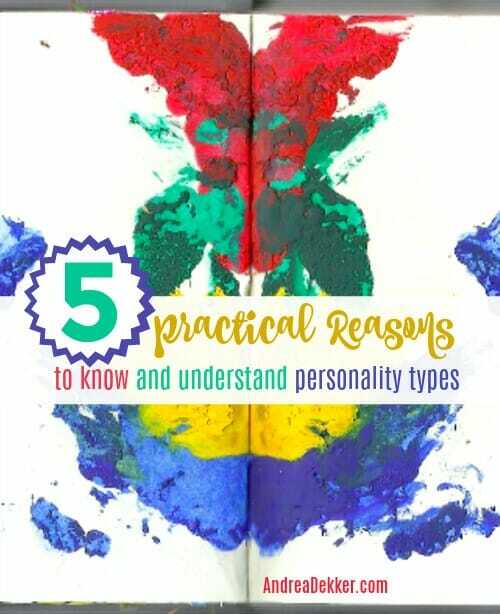 I hope these resources enrich your experience in personality type! this is so great — wow, I really need to check out some books from the library! and good grief, I can’t believe I spelled the Myers wrong in my post! I have corrected it! Yay! Have a great time exploring! And thanks for replying to my lengthy posts! I’m also ISTJ! No wonder I love your site and writing! I love this topic. Would like to takethe Enneagram test as well. What really opened my eyes, was the Whole Brain Profile I had to take when starting out as lecturer (with research duties) – which explained why I hated research! I knew then I was in the wrong position. well good think you figured that out when you did! Ii will always judge people who are always late…it’s controlling, disrespectful, and rude…don’t care a hill of beans about their personality type when it comes to this. I actually think this type of person can’t see how their actions affect others, and it extends beyond being late…this is just how they are, self-centered. honestly, I would have agreed with you 1000000% until this past summer when I had a conversation with an acquaintance. She is ALWAYS late for EVERYTHING and it drove me completely nuts. I casually mentioned something to her about it (in a very light-hearted way) and she almost broke down and started crying. She explained (in detail) how badly she wants to be on time for things, how she sets alarms for herself, various reminders, tries to have everything ready in advance, but she just can’t seem to ever actually get out the door on time — it’s almost like her brain tricks her or something. I still feel it’s disrespectful and rude when people are chronically late for everything, but I now have this conversation in the back of my brain as well. As for me, I’ll still always be one time! Hmmmm, I am intrigued. And I am willing to open my mind to the fact that there is some kind of mental block, perhaps an OCD type thought process that can’t get people out the door. haha — well I still feel the same way. I’m “willing to open my mind” and I try not to be judgmental, but tardiness still bugs me! People with Introverted Intuition have so much going on in their head… thoughts, ideas, etc… that they can physically disconnect from the world. They honestly do not believe that so much time has passed. This is what can make them late. Their reality and focus is in their head, not on the clock or external circumstances. These are just a couple of examples how personality type can impact punctuality. Of course, personality type should not excuse rude or inconsiderate behavior. We all have what we can call shadow behaviors to our personalities. One person might be called rude for being late while another person might be called controlling for insisting everyone be on-the-dot-time. I just have to get a clarification on this. Do you consider people who are 2 minutes late as rude, disrespectful, and controlling, or are you talking more about situations where someone is chronically 15+ minutes late and makes you wait and wait for them? I am of the chronically 2-3 minutes late camp (though I’ve really improved and am much more likely to be on time now – so proud!). It’s insane, I know, that I can’t get it together to leave just 2-3 minutes earlier. Every time. But, I find it intriguing that someone might see that 2 minutes as being controlling. FWIW, I really dislike when people show up early. I once had someone arrive two hours early. Yowza! For me, I definitely would NOT consider 2-3 minutes late any big deal. I have a solid 5 minute “buffer” time (both early and late) that I would consider totally acceptable. That said, it bothers me when someone is CONSISTENTLY 15+ minutes late EVERY TIME. I have people in my life who I will tell them a different time to arrive (15 to 20 minutes earlier than they really should arrive) because I know they will be 15-20 minutes late all the time. Ha! I am your exact opposite-ENFP!!! But interestingly, I’m very similar to you in many ways. Sometimes I think the way you are raised affects your personality. My dad had been in the Navy, and his dad had been in the Army. We were casually early to everything. I am very organized and function best in order. I actually made my college roommate clean our room because all of her stuff was all over and I couldn’t focus to study. Haha! But my husband is probably close to what you are, and he and I are also very different. I am more of an ambivert than either an extrovert or an introvert. I need social settings but do best with people I enjoy. I’d rather do one on one or a small group of friends than a large crowd, but I am super comfortable talking to anyone at the store kind of thing. And even though I don’t like it at all, I can do just fine at my husband’s work dinner parties. I just need to come home and recharge. I used to be a classroom teacher before we had kids. I hated if my husband got off early, because I didn’t have that time by myself alone to recharge. He just couldn’t understand since I’m such a people person, but I would try my hardest not to show my annoyance. But I played alone a lot as a kid in my room and was perfectly happy. And I am a no music and no sound kind of person when I want to get work done. I don’t multi-task well. My husband on the other hand is a boss at multitasking and ALWAYS has background noise on(drives me CRAZY during my needing to recharge with quiet times and have a short time to get a lot done, haha!) However, as a stay at home/work from home mom, I NEED social get togethers and adult conversations. The BEST book I’ve read in a long time is Raising Your Spirited Child. It has personality stuff and all sorts of tests and applications to help you, your spouse, and your child love and live well together. It has been sooooo good for me!!! Love this post!!! Your picture fits perfectly!!! wow — many things you listed are exactly the same as me — needing to recharge with quiet time, no music in the car, adapting just fine to public settings but preferring to be home. We’re more alike than our personality types lead on! And yes, I’ve read that book (when Nora was 1) it was VERY interesting and helpful! I’ve gotten interested in the Enneagram recently. When I discovered that my husband is a 6 (he operates from fear and craves security) I felt like that explained SO much of the last 37 years and I can use that knowledge to give him grace moving forward. It really is fascinating how different we are from each other (even people we’ve known and lived with our whole lives). Glad you were able to realize your hubby’s differences after all this time! I am ESTJ-A, but I must admit – I personally prefer Strengths Finders 2.0. I like how it really focuses on continuing to build on your inherent abilities, and I enjoy seeking out others on my teams at work who have complementary strengths. I have co-workers who don’t always get along well – I think if they took this test and thought about how each of them are different, they might have a better tolerance for each other. They will probably think I’m crazy, but I may just try to get them to do it!